There are different types of SEO professionals. Charlatans will make outrageous promises and claims that we will get top position in search engine in not time. They say that they have secret techniques to achieve first page ranking quickly. However, we can find realists who don’t say anything about when we could get results, but they assure that accepted principles will be used. SEO realists know that achieving first page ranking can’t be guaranteed, especially if the keyword is highly competitive. In addition, Google’s algorithm is continuously changed and it is a big secret. There are many people who are also working hard to get the first position. Charlatans often have no qualms about making huge promises. For this reason, we should be wary when we read “First Page position in Google – Guaranteed!”. The only guaranteed thing to appear on the top position is by paying for Adwords subscription. Our link will be displayed directly below the search field and above the original first position. When we subscribe to Adwords, we will be asked to choose for search terms that are relevant to our website. We will design our listing and choose an URL, so people will be transferred to our website when they clink on the ad. We will save our settings and pay Google for specific amount when the ad is clicked. This is a fast way to get to the first position in the search engine. Although this method can be immensely powerful, we should know that they are likely forget that we exist, after a few days. It’s the reality of the current Internet age, people rarely bookmark a website and they don’t bother remembering a website. We are simply promiscuous surfers and we should look at our own bookmark list to confirm that. Adwords is not a lasting and sustainable way of achieving high ranking. In fact, it can be an expensive one. Our ad will be removed, when we run out a specific amount of clicks allowed, based on our budget. This is a good reason that we should rely on real position instead. It means that when 10,000 people click on our search engine entry, we don’t have to pay Google for that. Getting top position is like gardening, we need to cultivate content, hoping that we will get naturally-created links as our crop. This will allow us to get higher recognition and revenue. 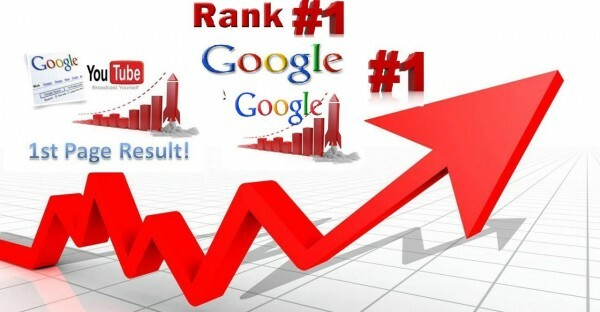 To get an actual top position in search engine, we should provide real value to our customers. We should focus on things that can deliver real benefits to our subscribers. It shouldn’t be too difficult to do, although it may take some time to see real results. In reality, many of us are often feel frustrated that we can’t find some details on information that we want to know. If we are knowledgeable enough on specific fields, we should consider writing unique content that’s not provided by other websites.